Travel - it's later than you think! I'm ashamed to say it... me, of all people: I don't travel enough! And I'm not talking about exotic far away places. I'm talking about travel right in my own back yard. There are so many places on our list to get to, yet, the list of places we've been to never seems to grow any longer. We definitely have to fix that! What brought this to mind was our recent trip (for business) to Rapid City. I went as a representative of Visit North Platte to remind the bank travel club directors who are part of the Heritage Bank Peer Group that we are ready and willing to host them locally. The Mister came along for the ride, and we had a great time. It is absolutely criminal that we live only five hours away from Rapid City and the beautiful Black Hills, yet it's been more than a dozen years since either one of us has been or taken any of the kids. 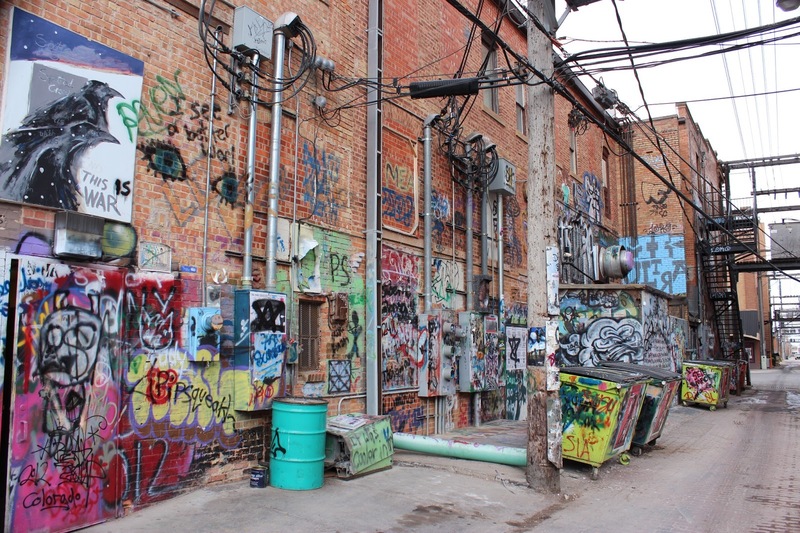 Downtown Rapid City is amazing. If you haven't been for a few years, it's time to go back to see what they've done. Many of the buildings in about a four block area from 5th through 9th along Main Street and St. Joseph Street have been restored, housing everything from shops and galleries to brew pubs, coffee shops, restaurants and bars. They have created a beautiful Main Street Square, where the fountain is liquid in the summer and used for ice skating in the winter. They close off the streets and have concerts in the summer, and soon there will be huge granite sculptures where the nondescript blocks around the square are now. And of course, it isn't called the City of Presidents for nothing! Presidential statues on every street corner. Want to give your kids a hands-on history lesson? Do the Presidential walking tour. Main Street Square showing granite blocks, soon to be sculptures. And then there's the Art Alley! 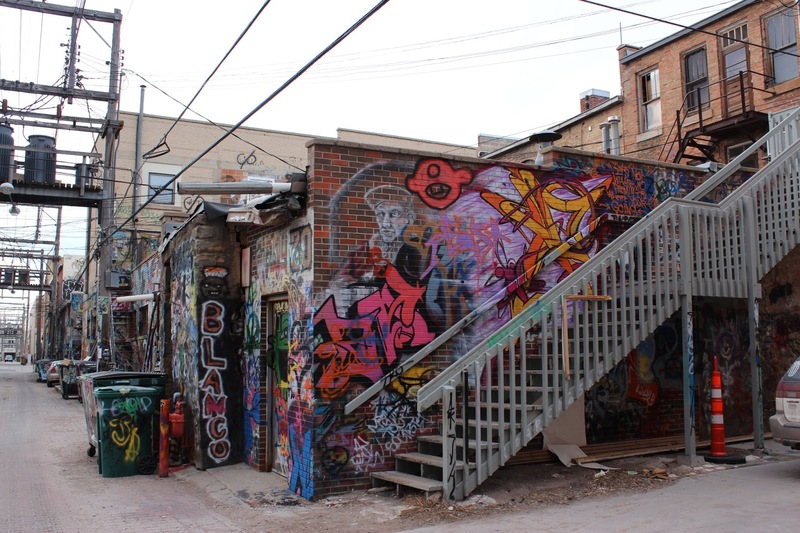 The alley between Main and St. Joseph, connecting 6th and 7th has been completely turned over to urban artists, from top to bottom. 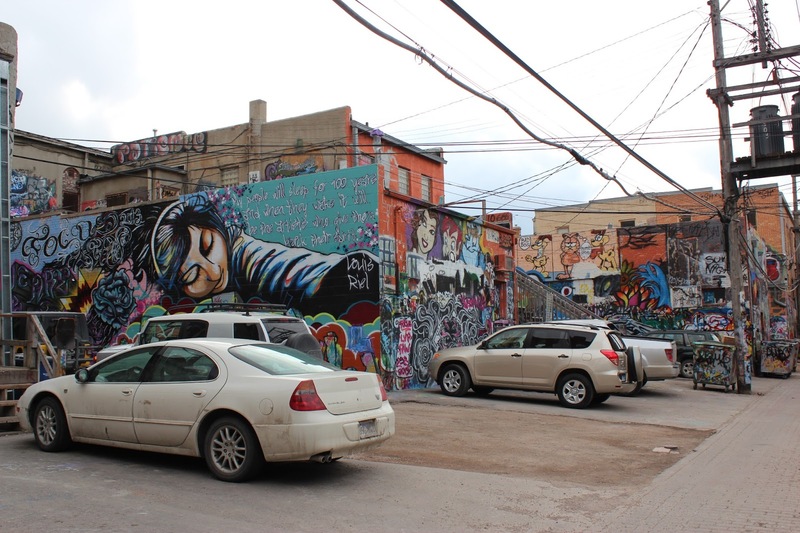 Even the trash dumpsters and utility poles are covered with incredible art. During the summer the alley is periodically closed off for concerts. 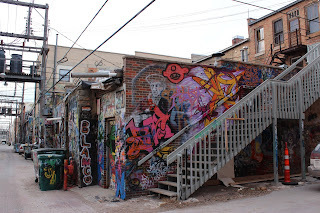 Don't miss this during your walk downtown. 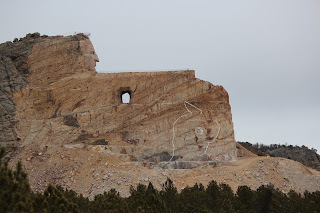 We had the good fortune of being treated to a motorcoach tour of the Crazy Horse Memorial where they actually scheduled a blast for us. That may be overstating it a little bit, but there definitely was a blast, whether it was scheduled for us or not. The Indian Museum is amazing, containing donated artifacts from tribes across the Americas and the world. Don't cheat and just glance at the memorial as you are driving past on the highway. Pull in and spend some quality time on this unbelievable family achievement. Sculpture of the finished monument with the mountain in the background. 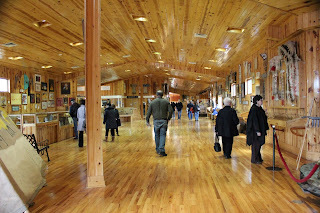 I have read on Trip Advisor that many are dissatisfied with the high price of admission to the museum. 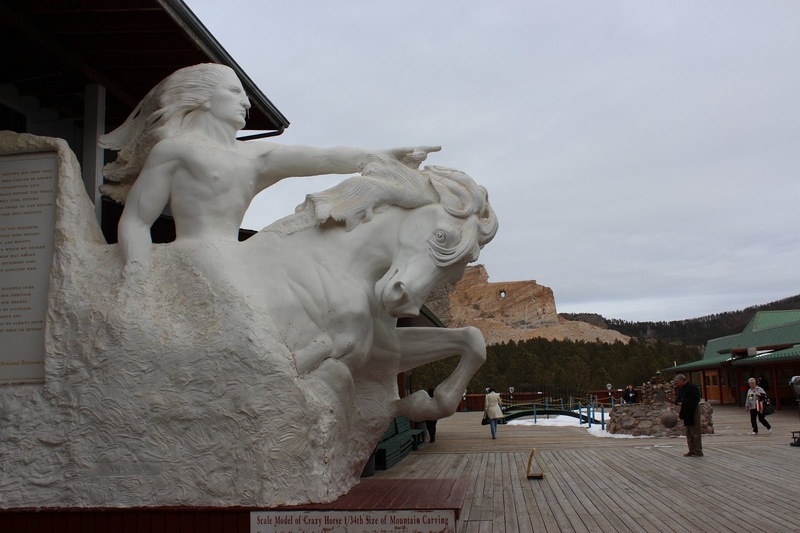 I take this opportunity to remind you that the Crazy Horse Memorial receives no government funding. The project (which is now in its 70th year) relies 100% on fundraising and donations. So you aren't just paying admission to this wonderful attraction, you are partnering in the creating of the incredible memorial. 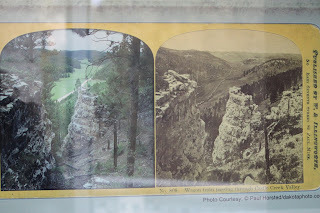 Then it was on to Mount Rushmore. 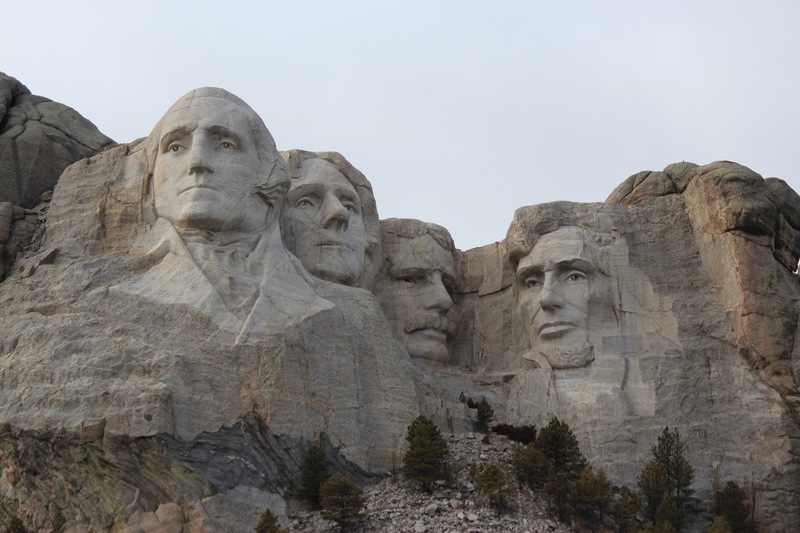 Many of you will have visited this iconic memorial, but if you haven't been in some time, I encourage you to go back.The exhibits are constantly being improved, and unless you've spent 24 hours on the monument in all kinds of weather, you haven't seen the Presidents in all the moods of the mountain. So return for a long stay! Mount Rushmore from the viewing deck. 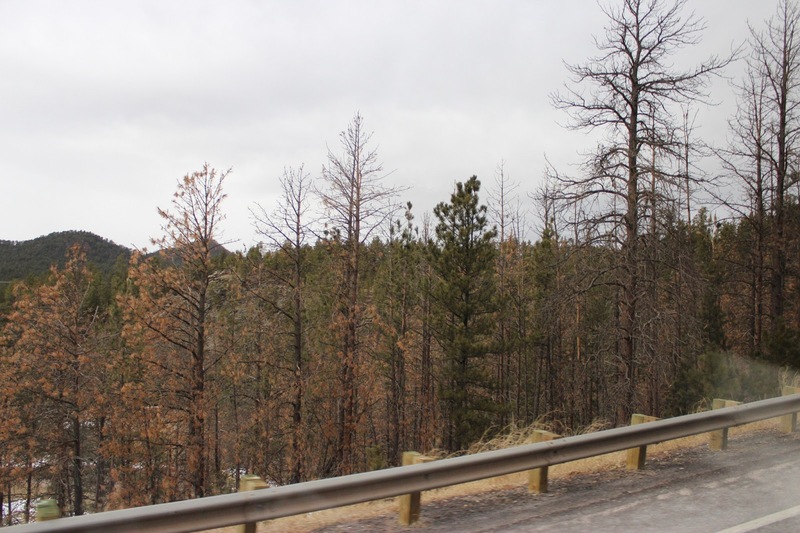 The Black Hills, like much of the Rocky Mountains are being ravaged by the Pine Beetle infestation. Lots of steps are being taken to protect the old-growth trees, including aggressive thinning out of younger trees. As one exhibit I saw states - if the trees aren't thinned by logging or fire, they will still be thinned - by the Pine Beetle. 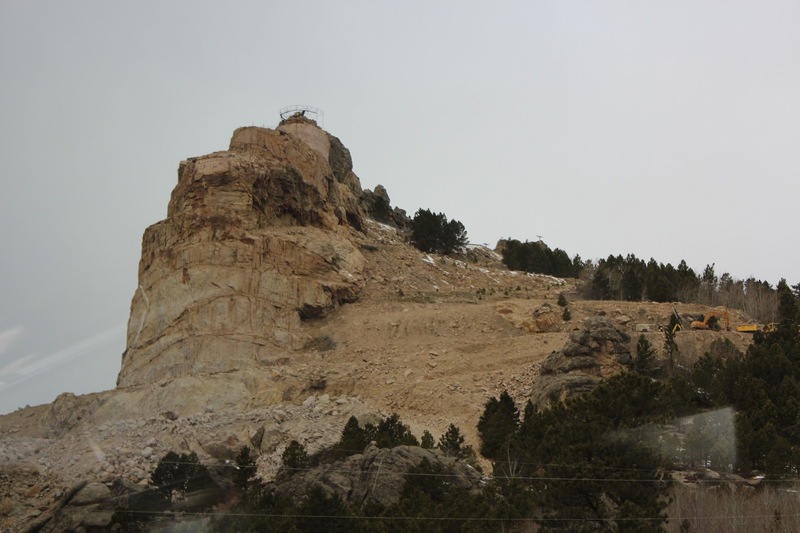 As you can see in these two photos, the Black Hills trees are much denser now than they have been in the past. 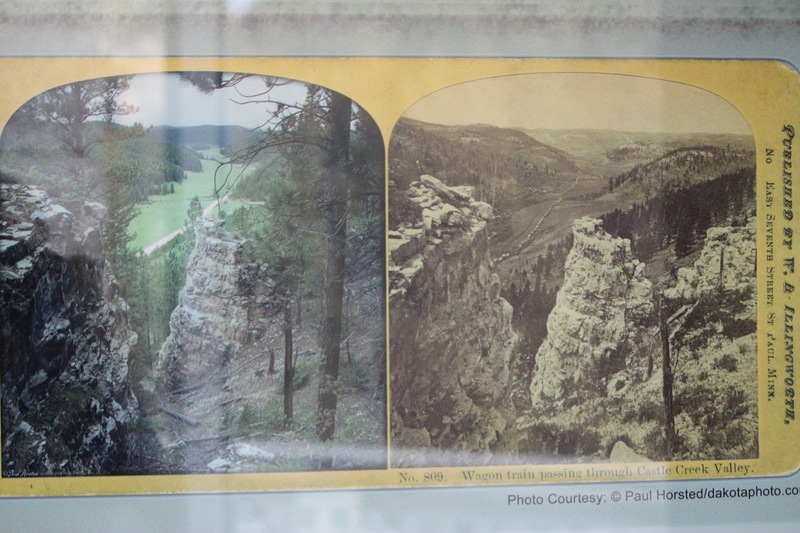 Exhibit in Mount Rushmore showing much more dense woodlands today than in the past. 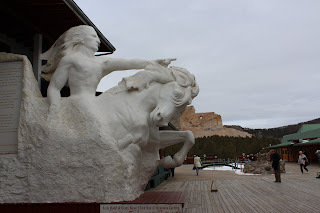 This post is barely scratching the surface of everything there is to see and do in the Rapid City area - including all of the wonderful attractions in the Black Hills, and don't forget Deadwood. There is plenty of nightlife, and the bars don't close until 2, so you have plenty of time to visit them all, Murphy's Pub, the Independent Ale House, Firehouse, Wobbly Bobby, Dublin Square, Paddy O'Neill's (in the historic Alex Johnson hotel). This is just a short list! 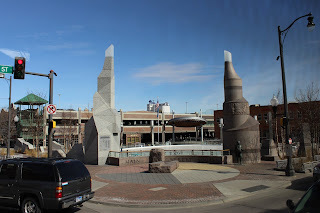 There is also a genuine, bona fide speakeasy in Rapid City, but that was so special, it deserves its own post, not buried here at the bottom of this one. Thanks for stopping by. I hope a trip to Rapid City is in your near future.